wow, a huge amount of manual effort goes into them, way more than i would have thought given the cost. Labor may be cheap in Russia but id like to think they also keep it quite old school as it works for them. Love the big old milling machines. Its not a super mass producing production line. hand painted diall's, wow! Any idea how many watches they make a year? Never handled one, do they have a level of craftsmanship that belies their price or are they the lada of the watch world? Agree, love mine for the £50 price tag, there's something I find pretty cool about this brand. Fascinating. Makes me want to push buttons. Really like seeing this factory tour videos. One I find impressing on another level is the Chinese bitcoin mining farms, impressive. Really enjoyed that so thanks for posting. I have a recent interest in Russian SLAVA watches from the 1970s/80s. They manufactured their own range and also 'badged' them as SEKONDA. I expect their factory is very similar and it's very refreshing to see a no frills down to earth approach after all the mystique/hype/marketing from Omega, Rolex and the other big players. However the guys at Health and Safety would not be very impressed! Interesting video tour. Alot of those jobs must be hugely mundane. That workshop reminds me of something my uncles used to work in half-a-century ago, same engineering machinery and working conditions. The pay must be minimal too, given the level of labour needed and the price of the watches. Personally I would rather not be spending my money in Russia at the moment. Anything that props up their kleptocratic dictatorship is sus in my view. May I kindly enquirer what exactly 'they' have stolen from you or your family and what have they dictated you to do you otherwise would not? We're straying out of WT and into politics here, but Russia is certainly a kleptocracy in my opinion. 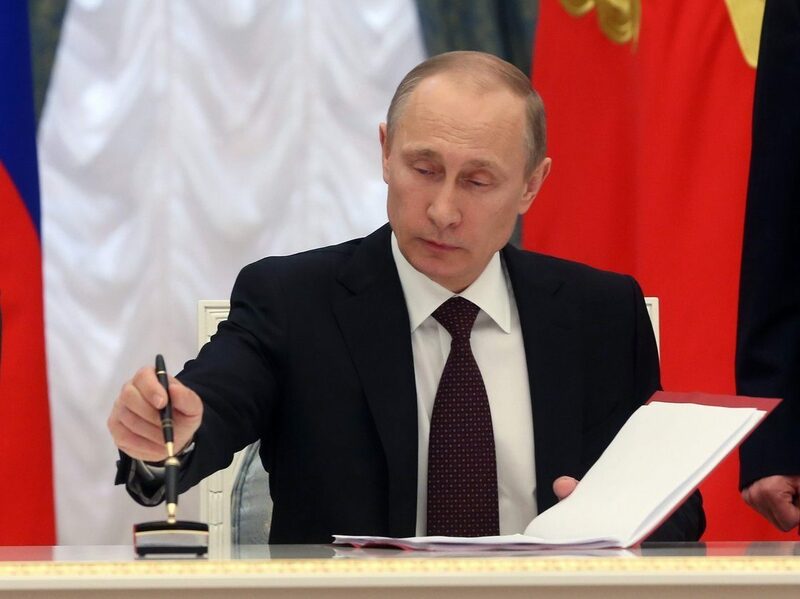 In Putin’s regime an estimated 35% of the country’s wealth is controlled by 110 people. Interestingly, the majority of these individuals are acquaintances and relatives of the president. President Vladimir Putin is himself believed to own assets worth $200 billion. While corruption had always been a problem in Russia, the vice worsened during Putin’s presidency, with the country’s rank in the Corruption Perception Index plummeting to the 131st position out of 176 countries. Kleptocracy has been most profound during Putin’s second term as president where vices such as corruption and nepotism have been rampant in government. The president has been accused of misappropriating public funds, with his close friends and relatives benefiting from the unlawful budgetary expenditure. While land has long been concentrated in the hands of a small number of owners, precise information about property ownership has been notoriously hard to access. Last edited by VDG; 18th April 2019 at 13:45. I'm staggered by the amount of machinery in that factory. And according to wikipedia, in 2017 their annual revenue was a little over $1.01 Million - I think their tax bill might be slightly adrift! Proper in-house manufacture. If only they would make a watch with sapphire crystal, and a quick-set date, they'd sell bucket loads. Such a watch might even convince me to try mechanical watches again. Cool video though, and the sheer amount of old-school machines with ladies doing tiny steps along the build makes one wonder on the economies involved when you can buy a piece for £50. I wear my Vostok's far more than any of my other watches, although I only dabble at the affordables end of the spectrum...orient, zeno, Precista/Smiths,Steinhart. They're great fun, durable, different and good value. Being so 'low' price there's no ownership angst. I go for the dateless options, less faffing. I had Meranom mod it with blued hands and the steel crown, about an extra 20 dollars or so, lovely looking thing. Very quirky watches, I love mine. It was only a few quid but it sits next to the Rolexes in the box and it’s worn just as often.